The French are best at everything: hairstyles, fashion, manicures and not to mention their patisserie-based expertise. The French are sophisticated AF and produce only the most sophis of trends which is why we trust nail company Le Mini Macron to provide us with the best in French-inspired nail products, including the one thing we never knew we needed before today: sheet masks for our nails. Beauty masks have long been synonymous with the key to looking fabulous and there's one for almost everything nowadays - masks for your face, masks for your hair, even masks for your body. The nail aficionados at Le Mini Macaron are keen to close that gap with their new Rose Nail Mask. And trust us, this is one of those things that you don't realise you really need until you've got those teeny tiny sheet masks over your soon-to-be-gorgeous nails. Yup, we're basically ready to mask our bods to the max now. Think how much you use your hands in a day. Those clappers need a bit or R&R from time to time. Le Mini Macron's nail masks are said to "hydrate dry cuticles and brittle nails" - all you need to do is take the cute, little nail masks, pop one over each fingertip and let the lavender and rose extracts do the rest. The nail company have been coming up with some real dreamy products as of late. 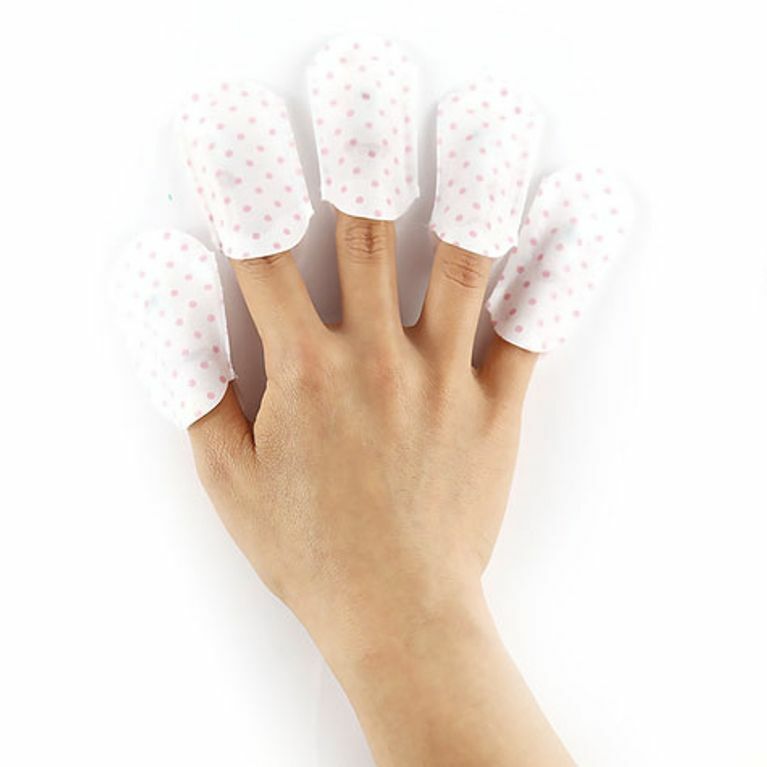 Once you're done with pampering your cuticles, they also have some hand masks that smell all kinds of delicious. Your only problem is choosing between Jasmine Green Tea, Mandarin and Vanilla Almond scents. Then, once you've got your paws as soft as can be, they have the most adorable gel nail kit which is not only super efficient but mini-macaron-shaped. Basically everything this company sells is tres adorable and you should buy it all immediately.